SS1 Orara East I (8.77 km) 4:47.3 4. 4. WRC 109.9 0.21 4:47.3 4. "It was an okay stage, careful in places - first stage just trying to get myself dialled in. Happy enough, happy enough." / "Místy jsem byl opatrnější, potřebuji se do toho dostat." SS2 Coldwater I (14.12 km) 8:01.6 9. 9. WRC 105.5 0.38 12:48.9 9. "It was an okay stage, nothing more, nothing less. Could have gone faster, wasn't too efficient. Hope it will be better on the next stage." / "Docela dobré, nic víc, nic míň. Nebyl jsem efektivní." SS3 Sherwood I (26.68 km) 19:49.0 23. 21. WRC 80.8 15.74 32:37.9 21. SS4 Orara East II (8.77 km) 11:43.5 22. 20. WRC 44.9 47.89 44:21.4 22. SS5 Coldwater II (14.12 km) 14:51.1 23. 21. WRC 57.0 29.75 59:12.5 23. SS6 Sherwood II (26.68 km) 19:35.6 22. 20. WRC 81.7 15.74 1:18:48.1 23. SS7 Destination NSW - I (1.27 km) 8:23.4 22. 20. WRC 9.1 330.71 1:27:11.5 23. SS8 Destination NSW - II (1.27 km) 8:23.0 21. 19. WRC 9.1 330.71 1:35:34.5 23. SS9 Argents Hill Reverse I (13.13 km) 7:22.3 3. 3. WRC 106.9 0.11 1:42:56.8 22. "Try to enjoy today as much as I can. Not much to drive for, but the stages are beautiful, it is always a pleasure to drive them." / "Dnes se to snažím užívat, zkoušky jsou krásné." SS10 Welshs Creek Reverse I (28.83 km) 15:19.0 4. 4. WRC 112.9 0.22 1:58:15.8 21. SS11 Urunga I (20.11 km) 11:38.7 3. 3. WRC 103.6 0.32 2:09:54.5 21. SS12 Raleigh I (1.99 km) 1:33.5 4. 4. WRC 76.6 0.20 2:11:28.0 21. SS13 Argents Hill Reverse II (13.13 km) 7:17.2 4. 4. 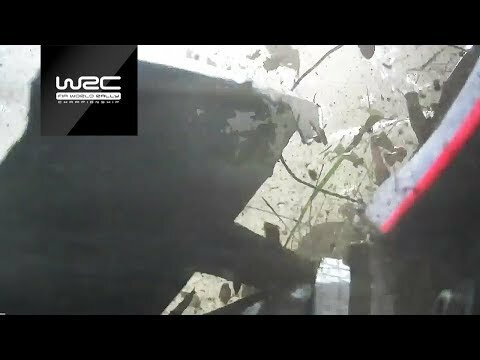 WRC 108.1 0.03 2:18:45.2 21. SS14 Welshs Creek Reverse II (28.83 km) 15:07.2 3. 3. WRC 114.4 0.20 2:33:52.4 19. "It is not too bad, just trying to get into the rhythm. We're not fighting for anything so we don't take that last bit of risk. But I must say, Ott's time is very fast, I don't think I could compete with that." / "O nic nám nejde, tak neriskujeme. Ale čas Otta je hodně rychlý." SS15 Urunga II (20.11 km) 11:41.0 6. 6. WRC 103.3 0.42 2:45:33.4 18. SS16 Raleigh II (1.99 km) 1:33.8 7. 7. WRC 76.4 0.80 2:47:07.2 17. SS17 Destination NSW - III (1.27 km) 1:33.9 14. 14. WRC 48.7 8.50 2:48:41.1 17. SS18 Destination NSW - IV (1.27 km) 1:34.9 16. 16. WRC 48.2 8.50 2:50:16.0 17. SS19 Coramba I (15.55 km) 9:43.3 2. 2. WRC 96.0 0.33 2:59:59.3 16. SS20 Sapphire I (19.27 km) 11:34.2 6. 6. WRC 99.9 0.21 3:11:33.5 15. SS21 Wedding Bells18 I (7.16 km) 4:26.0 10. 10. WRC 96.9 1.55 3:15:59.5 15. SS22 Coramba II (15.55 km) 10:26.8 10. 10. WRC 89.3 1.40 3:26:26.3 13. SS23 Sapphire II (19.27 km) 12:21.9 7. 7. WRC 93.5 1.75 3:38:48.2 12. SS24 Wedding Bells18 II (Power Stage) (7.16 km) 4:25.7 7. 7. WRC 97.0 1.33 3:43:13.9 11. "I'm sure we could have had a good result in this rally. It would have been nice to change things around this weekend but I guess we'll have to wait until Monte Carlo. I'm sure we'll start there in good spirits and come back strong." / "Jsem si jistý, že jsme tady mohli zajet dobrý výsledek. Na Monte se vrátíme silnější."